Welcome to Veiholmen, a small fishing village on the island of Smøla on the Northwest coast of Norway. The archipelago outside Kristiansund boasts thousands of islands and inlets and is home to all kinds of birds, fish, crustaceans, animals/mammals and people have lived in this region for thousands of years due to this rich source of nutrition. The islands rugged coastline combined with heavy storms and winds has caused many a shipwreck and has thus become a diver’s paradise for wreck-diving and natural beauty below the surface. Veiholmen was in the old days the largest fishing-village south of Lofoten, and has retained much proof from this part of its history through buildings and museums and in general ensuring that this part of the history is not forgotten. It really feels as if time has stood still here when walking around the small community where almost all buildings are listed. We are proud to be a part of this history as we are the proud owners of three buildings at Veiholmen. 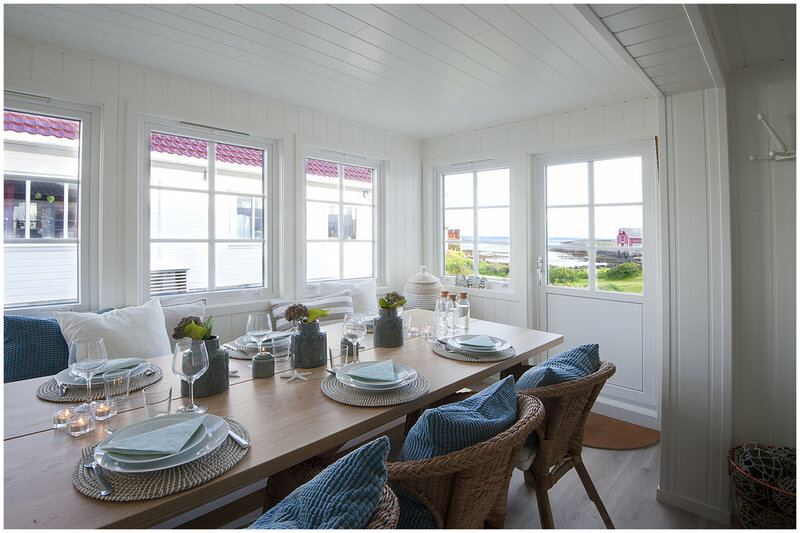 The first building that underwent restoration was the old boathouse, the OlsenNaustet, facing the molo which has protected the village for almost 100 years, thus ensuring that this old boathouse now has a new lease of life and activities. With the old wooden framework from the 17th Century still intact, there was a lot of history in its walls which we wanted to maintain for future generations. However, we have incorporated new technology and building-materials to ensure that this now is a multifunctional space for the future, using reclaimed wood to cover the walls so that it retains its "old" look. Large seafacing windows on three sides ensure that the weather plays an important factor in the feel of the building. No matter if it storms, rains or snows: one feels safe and protected inside this house yet allowing the weather to "come inside". A truly exceptional experience! The OlsenNaustet can be rented for private functions for up to 40 persons, conferences/seminars, concerts, yoga/pilates, painting or writing-courses etc. It also holds some maritime research-instruments sourced over our years in the research vessel industry. Catering can be provided from one of the nearby restaurants on Veiholmen, where meals can also be enjoyed. There are two bars at Veiholmen, some offering live music and always a good atmosphere in a traditional setting. 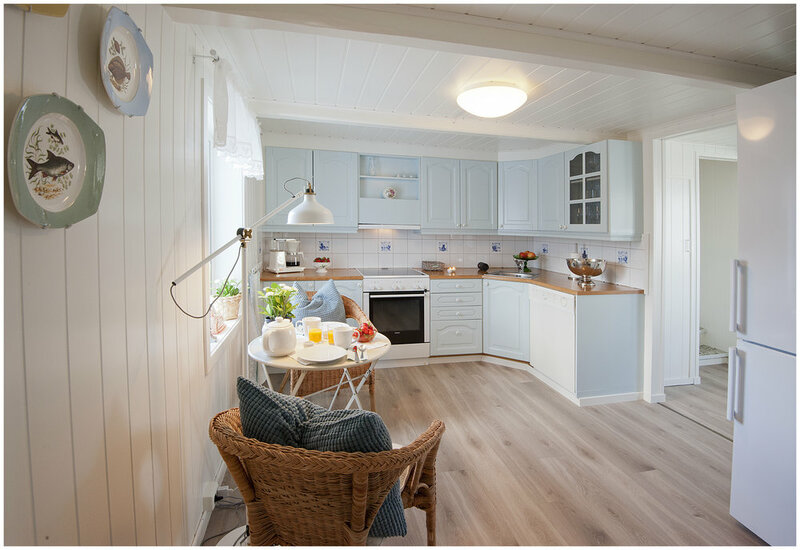 The second building that we have restored is the Olsens Pensjonat, a small pension which has gone through a complete restoration-process and is now a small practical, yet cosy pension with 3 double bedrooms and 2 single rooms for rent. 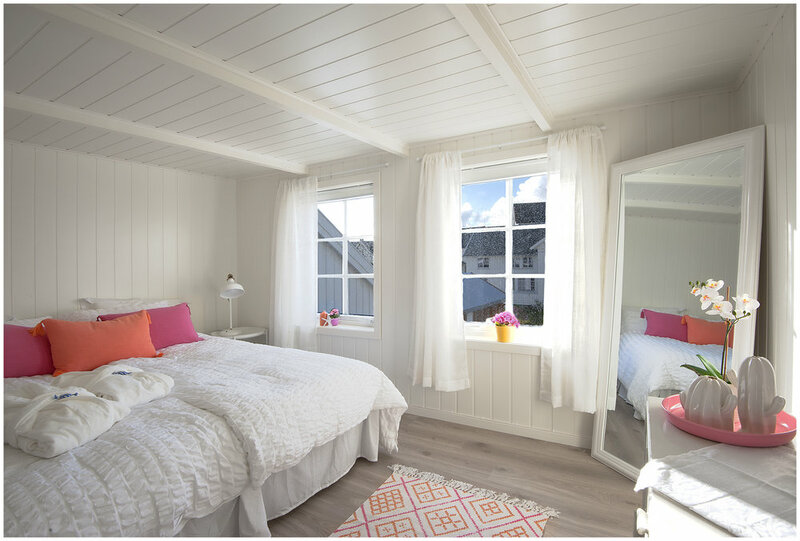 The style is Scandinavian, with lightwood and quality furniture spiced with historical decorations and pastels fitting the Norwegian weather all through the year. A small wood burner takes care of the those cold evenings, together with floor heating in all common-rooms downstairs. 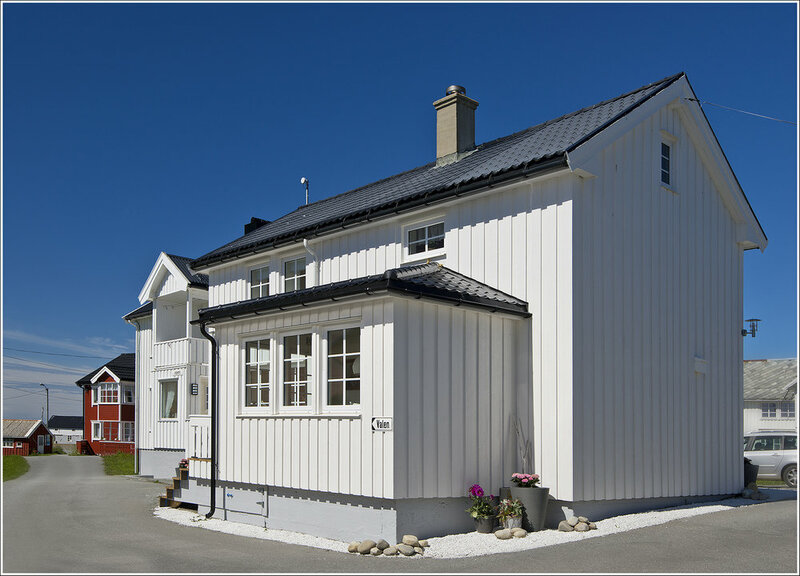 The third and last building is the Boathouse on the Molo, protecting the coastline of Veiholmen from hurricanes and bad weather. This old building is still standing after 100 years of stopping the ocean from flooding the village and is a monument in its own right. It has not yet been restored but we consider it the gem in our portfolio.......yet to be explored! For more information and pictures, please refer to our webpage: www.moloen.com and our FB page "Olsen's Pensjonat". As we like to say it: Come to Veiholmen, where even the weather is a memory for life! If you would like to know more about us, fill out the form below and one of our staff members will get back to you.